I have all these little pots of Doodlebug sequins that I need to try and use before I get bored of them! The stamp is by Stampin' Up! 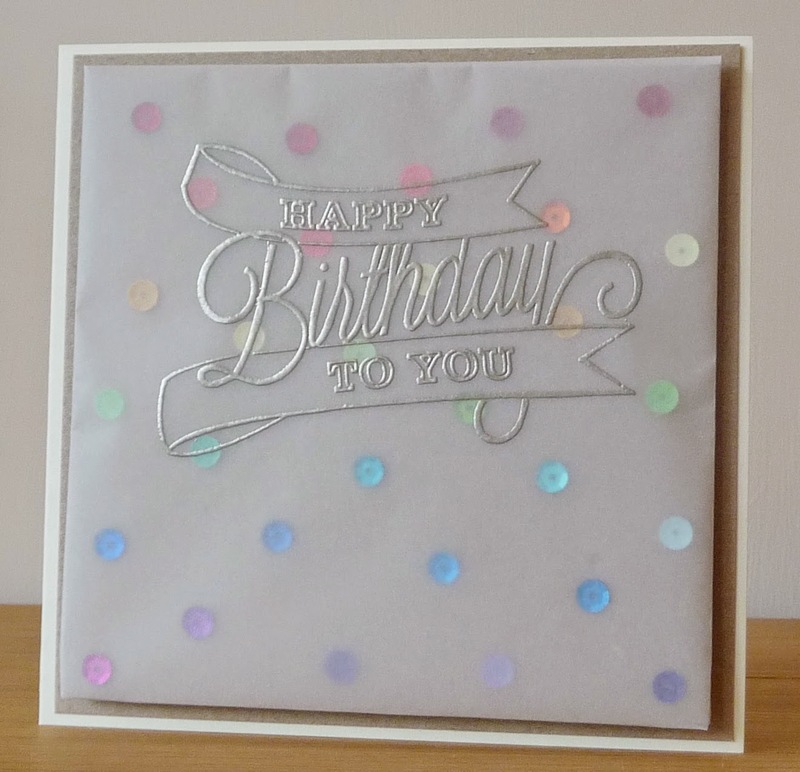 and I used their pewter embossing powder as a change from silver. The layers are straighter than they appear here, because the top panel is on foam pads it hasn't photographed well at all.